Home » Hamster Facts » How Long Did The Oldest Hamster Live? I have a Chinese dwarf hamster and I got him in the winter of 5th grade. I’m in 8th grade, but I don’t know how old they are when you get them at the pet store. About a week before I went to a week-long summer camp, my hamster threw up, and I was worried that he had wet tail (look it up if you don’t know what it is) so while I was at camp, my dad put him on antibiotics cuz he’s a biologist, so I guess he knew what he was doing. I don’t know if that medicine has anything to do with expanding his life span, but if he can stay alive by the time I go to college, you just might see my little Squiggles in the books. I have a teddy bear hamster and he is turning 5 this month. He has lost lots of hair and his balks are enormous but he still loves being cuddled and to run around and explore. He’s like a cat to me. I love him to pieces! I’ve had a Chinese dwarf hamster for nearly five years, and he’s not showing signs of slowing down. He was on antibiotics once fore wet tail, not I don’t know of that would affect his age or not. Know why he’s so old?? I have a robo dwarf named Coco and she is 2 years and 4 months old. Well, my friend has beaten that record. His hamster was 6 until it passed away. SIX I TELL YOU! My friend’s golden hamster lived for seven years. These days the average common hamster age is 3 to 5 years easy, but I’ve raised Syrian Golden Hamsters up to 2 years and given them to friends where they lived an additional 4 years, so that’s 6 years right there. And so 7 years is very much believable, and 8 years would be a miracle pushing it I think. Probably should forget about 9 years, that might require enhanced life support, LMAO. But these longer reporting ages you hear about are most likely from pet owners who go above and beyond the love for a pet as they treat them like family. Quality food, quality water, quality exercise, quality cleanliness, quality housing and play, quality vet care, quality special attention for the best… any of those things will definitely help a hamster live longer. And I’ve never even thought about documenting hamster age for Guinness, I just loved my hamsters and wanted them to stay clean, healthy and live longer, that’s all. Then why do all the official animal health type websites average much much lower life spans? Because that’s just an average from general study of a group. Your personal pet care methods can change it easily. Do less, they live less. Do more, they live more. For example, not many hamster owners care about giving their hamster a warm bath with a gentle stream of water in the kitchen sink and use baby shampoo, but a squeaky clean hamster in a squeaky clean cage can make a huge difference. Some owners don’t care about giving their pet fresh carbon-filtered water or spring water instead of tap water, but that can make a big difference too. Measure their daily food instead of simply giving it to them. Train them with native food treats like raw vegetables, fruits, seeds, nuts and insects instead of commercial foods as a reward for tricks (they love that). Some people hate the idea of a hamster at the kitchen table sneaking pieces of salad, but a hamster that thinks it’s family can behave like family with manners just as good as you can (no joke). Design a special room in the house or barn where they can run and play freely without a hamster ball (they don’t like being limited to just an exercise wheel no more than you do). A happy hamster is one that trusts you and will practically live in your shirt pocket, if you train it to do that. These and many other factors affect the lifespan of a hamster. You can’t get that kind of quality in a laboratory or shelter or in the wildlife, that’s for sure. They can get wet. They just cant stay wet. Very well stated. I think Mini helps me live. We all go when its our time. But I think we all want to know an educated guesstimation. For me knowing about how long she may have helps knowing where she is at in our years. So her being at 3 3/4 age makes her about my age. Knowing this I can have an educated guess on how she may be feeling & things she might want. Like U said I just want to love her & care for her the best that I can. 3 of my hamsters lived 4-5 1/2 years, my syrian hamster lived for 2 1/2. Hamtaro make’s me want to get a hamster again. I haven’t had once since I was in grade school. 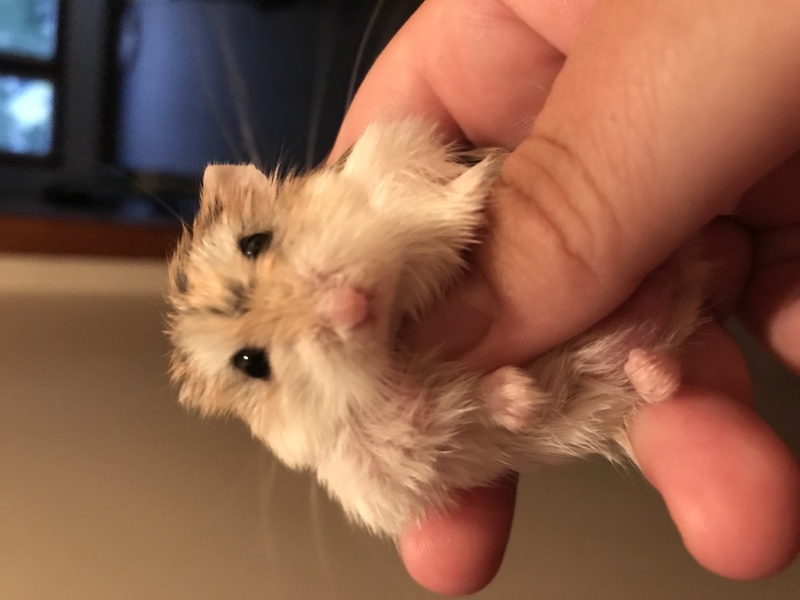 Our hamster is a few months away from being 4 years old and still full of beans. We cant believe it. She’s out lived here friend hamster (one we bought the same.time by a year already) she doesn’t look like slowing up either. We feed her a mixed diet and lots.of treat foods as.we feel she’s in the latter years of her life and should.enjoy it. She keeps.on going. U should call Guinness World Records. I have a Chinese dwarf hamster, she is one year and 1 and 1/2. I would be devastated without her. My daughter got her Russian White hammster in August 2013 from a friend. Her name is Mini. My daughter got Mini a husband & they had babies. Mini divorced her husband & kicked the kidds out cuz they where to old to live at home. (my daughter took them to her fav pet store). My daughter moved out but Cuz Mini is an old lady now she said she should stay with me cuz Im an old lady too & we can keep eachother commpany. (my daughter cant face the death of Mini so Im keeping her). But yes she is still very much alive & feisty. I think she has arthritis in her back cuz she has a little hump. To help her with this I rub her back. It makes her feel better. No one ever believes me but I had one hamster live to be 8 and one almost 10 (they were babies when I got them so their ages were not estimates). They both had gone grey and started losing their fur and one was pretty much blind by the end but they seemed happy and healthy otherwise until their last days. I also had a gerbil for 9 years and a goldfish for 15 years. I figured it was my calling so I went on to become a zookeeper and then a vet tech. On the other hand, I have the ability to kill the hardiest of house plants just by looking at them for too long. I had a syrian hammy named Bibbles. He lived to be 3.5 years. I took great care of him. He lived alone in a huge 50 gallon tank filled with hamster bedding 10 inches thick so he could burrow ALL he wanted. I made his food from scratch, picking seeds myself and growing my own plants so I was sure they were organic and I hated the store bought garbage. Fresh clean Brita filtered water everyday and he had a huge wheel so he could run comfortably. I also covered his cage with a blanket during the day so no one would disturb him! I have a djungarian hamster and he is currently 2.5 years old and still very active. I’ll be sad when he dies because I love him to death. 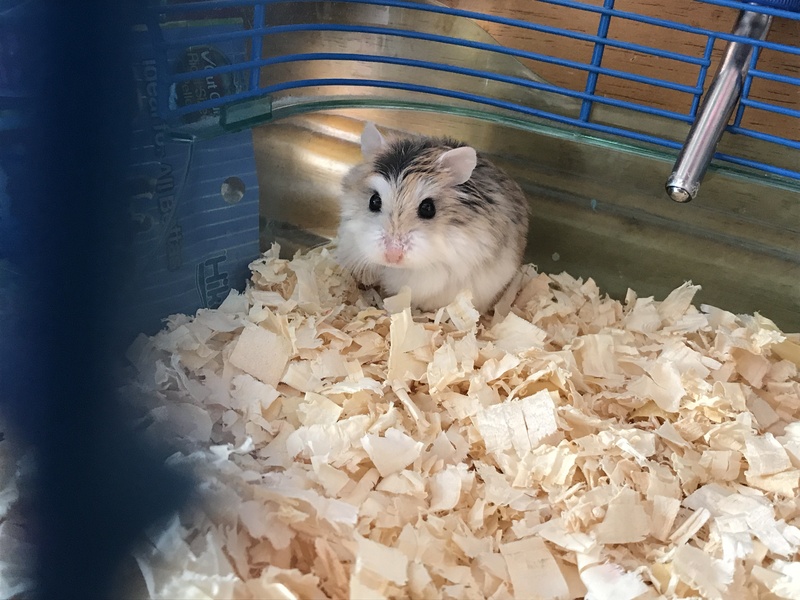 Hi Our Syrian Hamster Mrs Moo is just over 4, but is sadly on her way to leave us. Well darn, should’ve called when my sister’s hamster was still alive. He died at the very old age of 8 years old. My hamster is a dwarf hamster and he is going on to be 4.5 years this june. Im really exicted to have kept him this long. He was a rescue from my pet store! Our beloved Hammy is now 3 years old, and I found this article out of a curiosity for how much longer we could hope to have him. We hope he can set a new record, lo g live the Hammy!